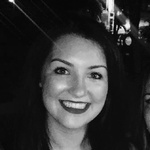 Hello, my name is Stephanie and I am experienced Executive Assistant who is degree educated, and part of the team at TIMPI Virtual Assistants (www.timpi.co.uk). We’re a lifestyle...Read moreHello, my name is Stephanie and I am experienced Executive Assistant who is degree educated, and part of the team at TIMPI Virtual Assistants (www.timpi.co.uk). We’re a lifestyle management and virtual assistant company based in busy London and leafy Surrey. We’re the place to come for high quality, flexible virtual assistants. Whether you need help in the home or with a business, count on us for an unmatched and professional service. I am a highly motivated, conscientious and driven, I understand the importance of completing deadlines and having the ability to work collaboratively. I work with busy high net worth individuals, families and small businesses. I am personable, have an approachable nature and knowledgeable, who uses a logical and methodical approach to achieving tasks and providing solutions to problems, whilst always guaranteeing client confidentiality. There is any other way I can help you manage your busy lifestyle, then please just get in touch. I am very open to taking on tasks outside of my usual remit, so whatever it is, just ask! PPH is a relatively new platform to our company, since most of our clients are found through our website or word of mouth. So this profile represents the work that I do for our company. I am essentially a product of Timpi. Awesome! Best money ever spent! Stephanie did a great job and completed the task in a very quick timeframe. I would highly recommend Stephanie and I will be using her services in the future.